I love the first Monday of the month because it's Hero Arts kit day! But I really love THIS Monday, because this month's kit gave me sooooooo many opportunities to use blue in pretty much every medium I own. Also, it's "gloomid" outside today (I made up that awesome word when I walked outside this morning) - hot, humid and gloomy - and so looking at wintery images makes me happy. 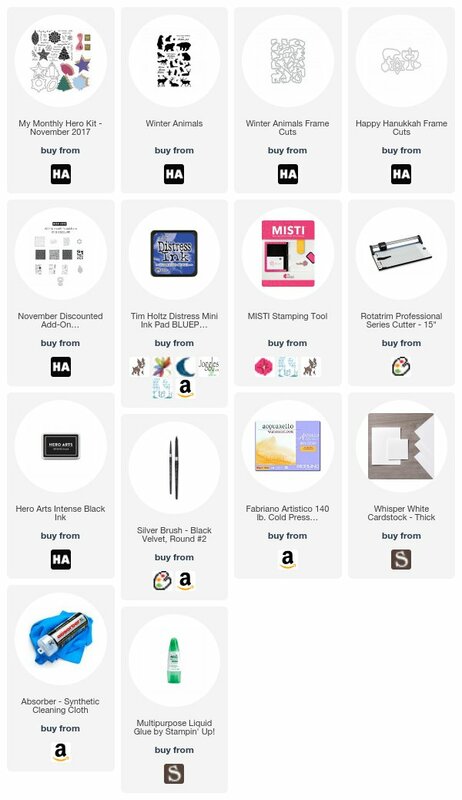 Before you see the cards, please know this - the kit - which is more than $70 worth of product for $34.99 - is while supplies last, so if you like it, grab it here, then come back to read. The add-ons stick around forever. I had a pretty busy weekend, so I had to multi-task. The first card came to me when I was listening to my most recent audiobook - the Monster of Florence (true crime) and cooking for the week. The gloomid atmosphere is at the heart of this one, for sure - sweet blue bears in the mist. 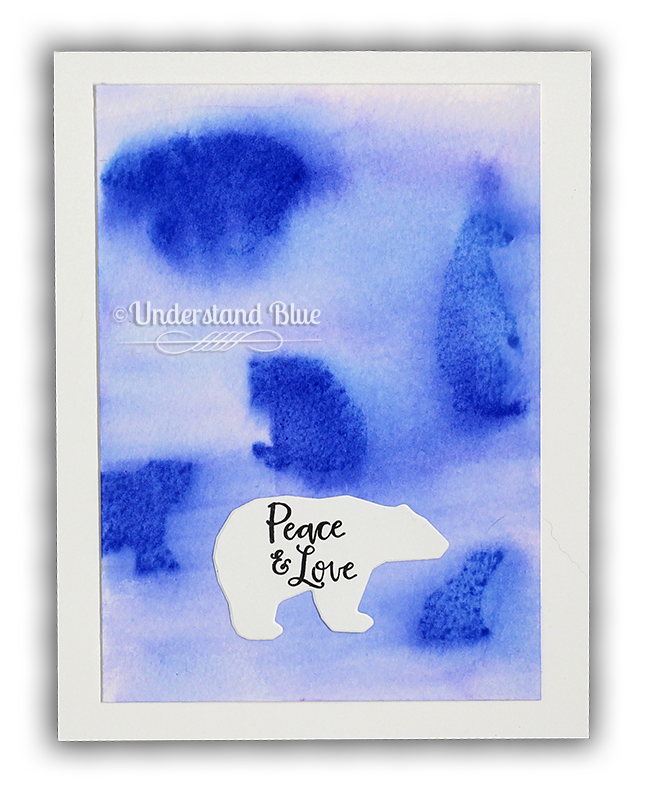 To make this card, I set all the bears from Winter Animals up on my MISTI, and stamped them in Blueprint Sketch ink on cold press watercolor paper. Then I took clean water and painted over the whole scene. I repeated this process three or four times until I had the intensity I wanted. I have a video on this process here. I love Blueprint Sketch THE MOST, and I really love that I get color separation with it - as you can see with a bit of violet separating out. I die cut the bear with the Happy Hanukkah Frame Cuts and stamped the sentiment from the My Monthly Hero Kit on him and glued him down in the foreground. Those cool colors make me happy. Since I had the bears set up and I liked the way they were arranged, I thought I'd do my Sticky Atmospheric Watercolor technique with Paper Artsy Infusions that I did in this video. I used Versamark to stamp the bears, and then Sleight Blue infusions and misted them with water as in the video. The different twist I did here is that I heat set them and then re-stamped them multiple times with the MISTI in Unicorn White pigment ink to make them show up a little better against the watercolor. The pink in this mix is so much fun, so I matted it with Melon Mambo, and put it on a Marina Mist card base. I used the geometric bear from the Happy Hanukkah set, along with the matching dies, to add a decidedly "apart from the crowd" bear. The sentiment is from the Believe in Yourself Narwhal set. Next I wanted to try the background stamp that is an add-on. It's so geometric and wonderful - it's like a fractal. I stamped a full sheet of cold press watercolor paper with the Snowflake Pattern Bold Prints Background stamp with Versamark, and then embossed it with Icicle embossing powder. Then I smooshed the Distress Inks linked below onto my Ranger craft mat and watercolored with them. The dies in the kit are tag dies so they have the holes already in them, so I added silver and white baker's twine. Can't wait to put these on gifts. I have three in the photo - but I made TWENTY of these :). I used to have a booth at our Jewish Community Center's Hadassah Bazaar. I am not Jewish - I'm Lutheran, but our pastor (who was my next door neighbor) taught us the traditions of every Jewish holiday, and I celebrate them all in some small way each year, because Jewish history is so intertwined with all of the history of what I grew up with. Hanukkah is always captivating because it's SO BLUE. :) But in my childhood church we would recreate different meals for Hanukkah and Passover and I remember them all fondly (with the noted exception of horseradish), and absolutely loved my pastor for being so generous with his knowledge of other-than-Lutheran tradition. I also loved him for patiently tolerating my Virgo tendencies to be skeptical, and to ask hard questions. He answered every one thoughtfully, and with more than a little amusement at my irreverent, and exuberantly non-stoic nature, despite his overwhelming Scandinavian reserve and stoicism. I still cannot smell pipe smoke without thinking of this great man and great neighbor. 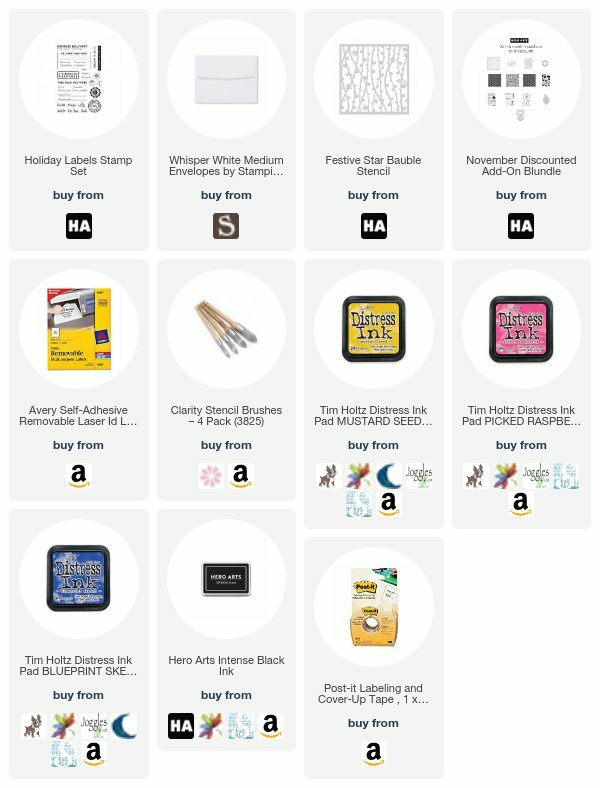 I wish more stamp companies would come out with fun, fresh designs for Jewish holidays - and you can all take my money if you do - so I was thrilled to see the Hanukkah add-ons this month from Hero. For my first card - I used a sponge dauber and the Tsukineko Delicata Golden Glitz Ink from the kit - THIS IS LIKE THE DONNA SUMMER OF INKS - SERIOUSLY - with the Glorious Petal Stencil and a sponge dauber to create the background on a Night of Navy card front. Then I cut a strip out of the front large enough for the sentiment, and adhered an acetate sheet to the inside of the front of the card (hard to see here), so the sentiment is actually inside the card on a white panel. But I couldn't leave it alone with just a super elegant card - I had to try a CAS card with the Happy Hanukkah set, dies and a little Copic action. Love that modern geometric design. You know I'm not leaving you without a paper layering, dimensional card right? Again, the camera flattens all the things, and I wish you could see this dimension in real life - but this paper layering Santa die is meant to be a tag - see the hole in the top of his hat? Well he's also perfectly sized for a card, so I watercolored and embossed him for a card, and he is so cute. The snowflakes are from the kit, and they are stamped in Cornflower, and the watercolor wash is Daniel Smith Verditer Blue - those two are a perfect match. And finally - since I've decided this year to use some of the cards I've blogged for my Christmas cards, which means I have a 50 card head start this year, I thought I'd spend some extra time on the envelopes. I tore a piece of masking paper - I use this inexpensive stuff to mask - and I used the Festive Star Bauble Stencil and Clarity Stencil brushes to brush on some Distress Ink. Then I stamped each one with that adorable image from the Holiday Labels set. 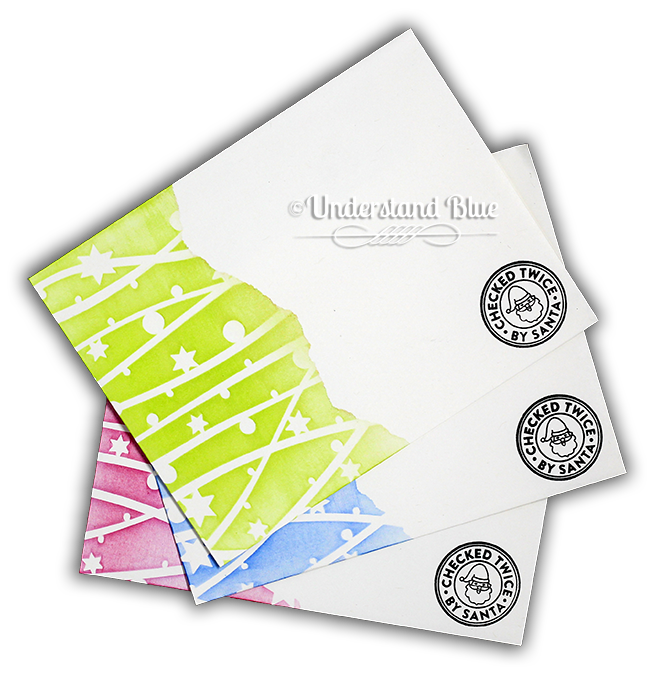 These take two seconds, and the ink is so beautiful on the ultra-smooth Whisper White envelopes. Finally - it doesn't have to all be about the holidays! I used the Snowflake Patterns background stamp, and the kit images to make tiny botanical vignettes. 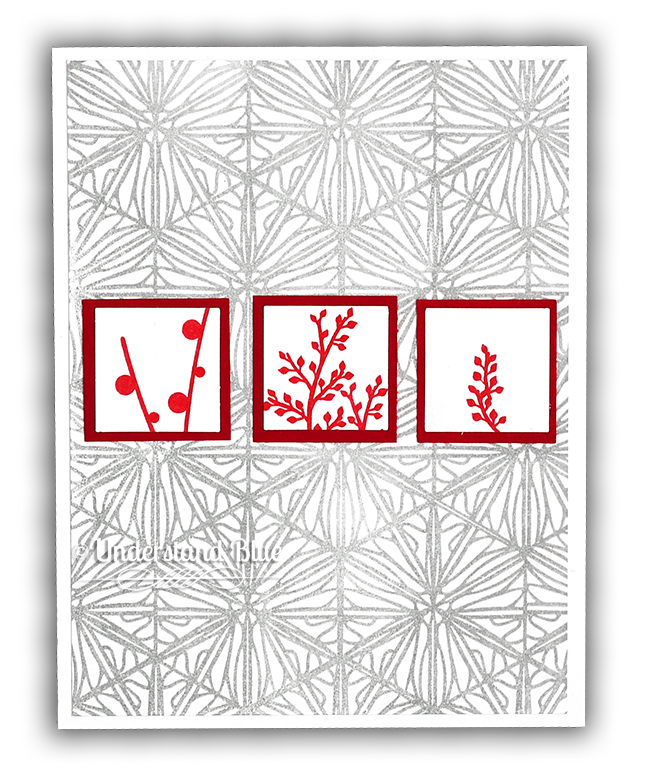 I love a good red and grey card and the pattern is abstract, so it can definitely be used all year. So there you have it! 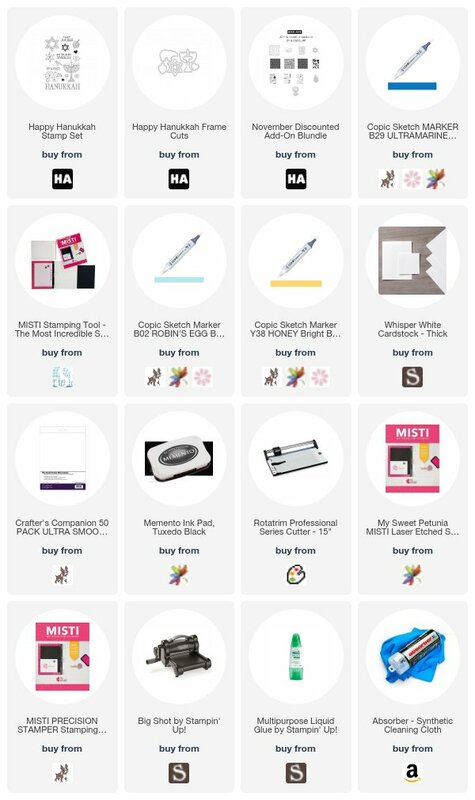 Now remember, they always give one kit away - or reimburse you if you've bought it, so be sure and stop by all the blogs in today's hop! Giveaway closes Sunday, November 12th at 11:59pm, and the winner will be announced the following week. The kit is while supplies last, but the add-ons stay in the store. And here is a list of the talented people I'm hopping with today! 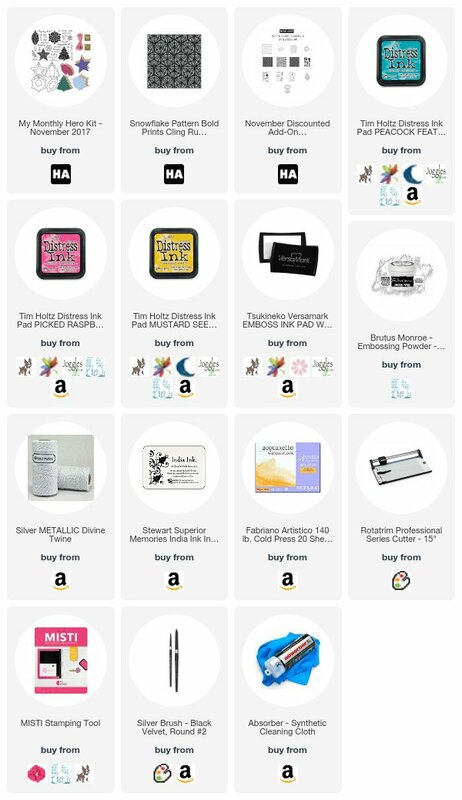 Be sure and leave a comment on each blog for your chance to win! Thanks for sharing all your lovely cards! What a lovely array of creations! Beautiful!! Fabulous cards, Lydia! And yes - before I even read your blog post I jumped over and ordered the kit! Now add ons for me, yet, but I do love the Chanukah set! Kinda funny - I am Jewish, but rarely make a Chanukah card! My husband is Catholic, so we have family and friends from both (and others, of course) faiths to send cards to. I make non-religious Christmas cards, as well as generic "seasons greetings" cards. On occasion I will make a Chnaukah gift card holder for my kids, with the few stamps I have. Eventually I'm sure I'll cave and buy this beautiful set! Wow! So many different ideas and all of them so unique! You have my creative juices flowing just seeing your creations! Your art as always is awesome but I love your stories. You really have the gift! Beautiful cards and tags! Love the moody blue colors you used. Very striking! WOW x 3! Uber Stunning, Creative cards! Love the Polar Bear background and Silve Embossed Snowflake Bold Print on Red background...Nice and Well Done! Love It! Wow, what an amazing backgrounds on the animal cards. Beautiful. Those gift tags are beautiful! Every one of those cards surprised me and I loved each one! Very cool and I am inspired. The book Monster of Florence was good, huh? Love all the backgrounds you have created they are beautiful. Thank you for the inspiration. I love all your cards. You really showed a lot of different ways to use these supplies. Gives me lots of ideas and inspiration! I especially like the colorful tags and menorah. I really love what you did to the envelope. It is something I never think about, but will try this year on my envelopes! Thanks, love all the cards you did. I am in awe! What a fabulous collection. And thank you for the clear instructions so that even I can aspire to greatness! Love your many projects! Very Creative! Your use of the November kit left me speechless. Such wonderful techniques and artistry. Thank you for sharing. You so did a Super Outstanding Creative job with this new kit! I’m in love with your bears! They are just so unique. The ornament tags are also really cool. ALL of your projects are wonderful! GREAT Backgrounds - I love the stencil! I love the backgrounds stamp that your embossed and then colored with the distress inks. Awesome! Really, just beautiful. I just adore your santa card too! Wow!! These cards are amazing! The clever used of the dies and other stamps looking shadowy/blurry!! 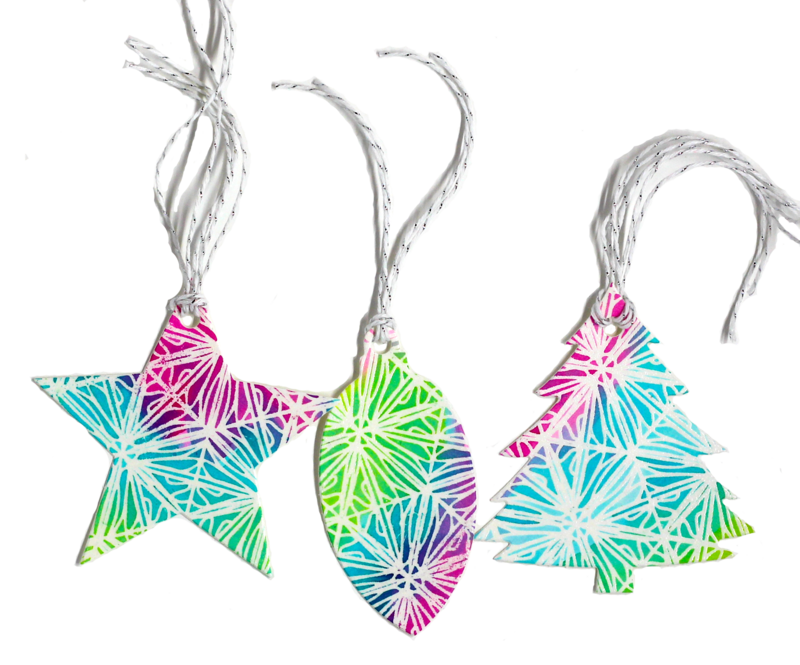 The half backgrounds, resists tags and that cute use of the garland and the branch for the popped up squares! Clever and so pretty! Talk about stretching dies and stamps!! Love your cards and tags! I also love this release! I really enjoyed all the different shades of blue you used on your holiday cards. Please continue to do so! Absolutely love the bring colored tags! So many wonderful ideas! You really showed how to use this kit! I love the Sticky Atmospheric Watercolor background!! I am in love with those envelopes you created! The colors, the masking. It's a great idea and beautiful execution. What an amazing assortment of cards and tags that you made. Loved all your creative ideas. What a wonderful kit! So much amazing-ness... I can't believe how many projects you post each time! And they are so gorgeous! 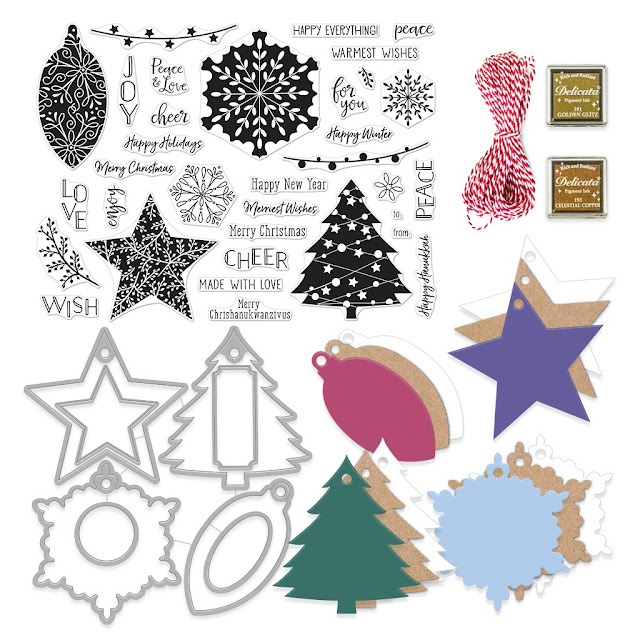 I really love the snowflake background stamp on those ornament tags... So cool! Great cards and tags. So cute! Amazing kit and so are your cards. Blue is my favorite color too and you made some beautiful examples. TFS! The colors with the polar bears are stunning. Great inspiration, lovely cards and tags! Thanks. Oh my goodness! So much inspiration on this blog post! Thanks for sharing. Thank you for the inspiration to finally get moving on all things Christmas. Very unique twist on your background. The tags are simply fabulous! Love this kit and the whole release. Wow, you have been busy, thanks for showing us so much! I love how you used the silhouette bears. Awesome post containing so many great possibilities for this kit! Thanks for the inspiration! Lovely! I especially liked the tags and the Santa card! Pretty cards and tags! Love the bears and the Santa! Wow--you have been very busy. Very creative cards and tags. Wow, wow, wow!!! So much beautiful inspiration, I adore all of your cards! The envelopes are spectacular! You are a prolific creator, Lydia! Each card is so unique with it's own beauty. Thanks you for sharing all these lovely cards! Wow, just WOW! 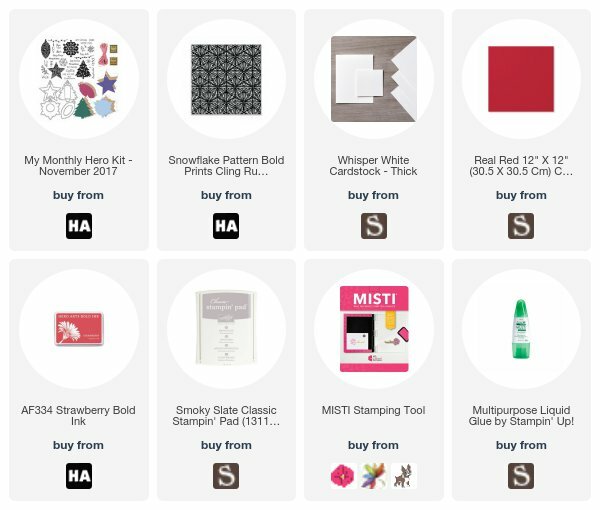 So many beautiful cards and new techniques to try.... this is an amazing blog post. Wow...these are special. Love them all. I am wowed! Bears: Amazing. Tags: Very cool. Hannukah: So Blue! (love the story about your Lutheran pastor). Santa: Adorable. Envelopes: Great idea. Last card: BONUS! 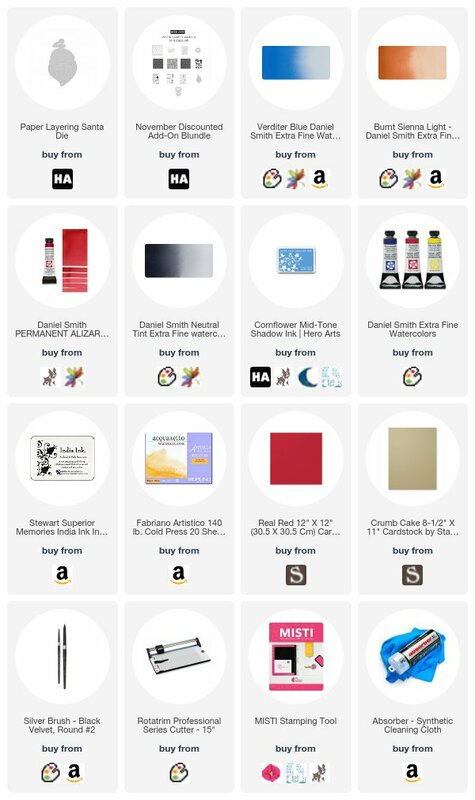 All your cards and tags are awesome! Love, love, love the second bear card! That technique is amazing! Wow, those ornaments look fantastic! Wonderful techniques with the bear, but I love all your cards!! I am not Jewish either but love your Hanukkah cards. I love your Hanukkah cards! Awestruck! Where to start: Love your Santa, Menorah, and mosaic tags. Thanks for all your work. Beautiful! 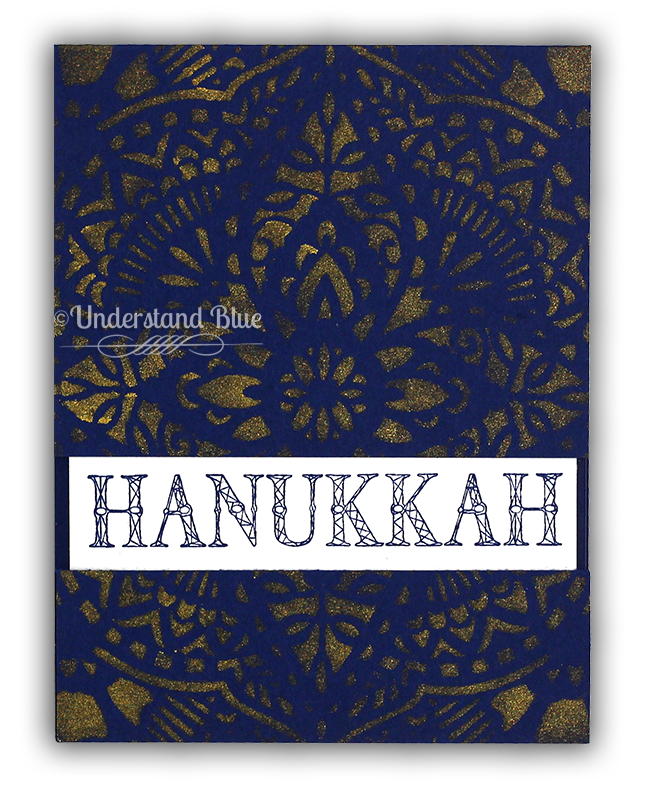 I make Hanukkah cards also, even though I am Christian. I love how you made your background with the bears. Love the Santa. Wow, so many awesome projects. I especially love the Paper Layering Santa card. Great tags and cards. I was mesmerized by your polar bear cards. I wish you had done a video to share how you made your background. It was terrific. Your tags were very colorful as well as Santa. Thanks for adding a Hanukkah cards. Hi Kathy - I have videos on both of those polar bear backgrounds :) Just read the paragraphs above the cards and you will see links to them. Thank you for your kind words! Thanks for all the inspiration ! Your cards are very unique ! I love the backgrounds of the polar bear cards. Beautiful cards! Great job. Thanks for sharing. Wow. So many beautiful cards and tag ideas. Thanks for sharing. So many designs, so hard to choose which one is my favorite. Thank you Hero Arts and Lydia for inspiration. Wow Lydia! I was in awe at your polar bear cards, but all of them are really fabulous! I love reading your posts, it feels like you are talking to me. TFS! You have been BUSY! Your cards and tags are stunning...especially those polar bears at the beginning. I can't give you enough praise. And...my favorite color is blue so that makes me even more partial to you and your blog. Wow! Great job on everything, I love the ornaments and the envelopes. You continue to amaze with your unusual approach to these project. It's always a pleasure to see your wonderful creations. Wow, you made a lot of cards and each one is stunning. All the different techniques, so great. I love your bleu misty polar bears the most and watched your video. I think it is a stunning technique and will try it as soon as I can. Thank you so much for all these gorgeous idea's. Wow - lots of cool ideas! I love your cards! The envelopes are even cooler. Your cards are so creative, Lydia. You give us a fresh perspective on color combinations that is so inspirational. The blueprint technique was awesome! Thanks for all the great Christmas card ideas. this is an awesome kit. Good Morning, :) I had made up my mind yesterday that I did not "need" this months kit... so, you managed to shatter that assumption and whew, they still had one. I love what you did with the tags. Lol, "glooomid" - I love it! As well as all your projects - AMAZING, as always!! 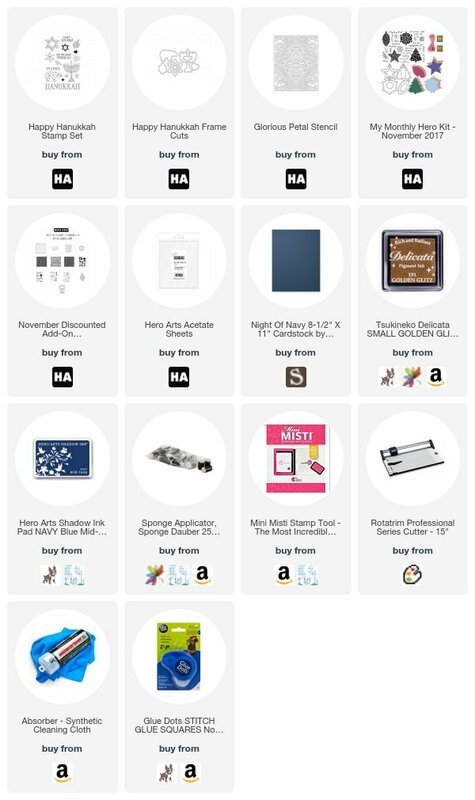 That blue hanukah card is just fab!! I love the glitz and glam! 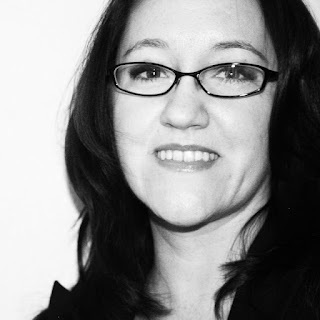 Lydia, I follow your blog because I absolutely love your style and sense of humor, and I always learn something. Today though, I wanted to thank you for your story about your pastor/neighbor. He sounds like a lovely man and an excellent, and thoughtful teacher. Wow! You've knocked my socks off! LOVE those misty blue polar bears! What a fun kit and add-ons. This is a wonderful set, and I love what you've done with the stamps and dies. I especially like the the ornament cut-outs. WOWZERS! I love all your awesome cards! I especially love your bear infusion cards! Love those bears, but the idea for the envelopes I am definitely trying out. I never know what to do to spice them up, but love this idea. Love the foggy look of the bears in the first card. Love Santa with his dimensional bear. 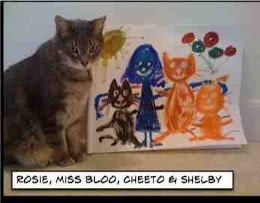 Love all your creations and I did have to view the video of how you did the watercolor bears- so spectacular! Thanks for all the wonderful inspiration ! Such a fun, colourful variety of cards! Love the blue bears. Wish this kit had come out earlier. I am almost finshed with Christmas cards and after having so much fun with the Oct. kit there wasn't money left to buy this one. Poor me! Thanks for sharing all the blue. Wow ! You made an incredible set of cards ! Wonderful cards! The sketchy polar bears in the first one look amazing. Hmmm... being from northern Michigan, I am not sure I can relate with the "gloomid" weather. They're talking snow by the end of the week. Booooo! But so many fabulous cards! Great projects! Love this kit and add-ons. Thanks for sharing on the hop!! So many incredible techniques for coloring backgrounds! Inspiration overload. There is something "other worldly" about your polar bear cards. Can't wait for the kit to arrive to try something similar. I also love your envelope treatment. My resolve to make the envelopes and inside of cards as decorated as the front panel has not worked to good, but I now have renewed inpiration. Thanks. 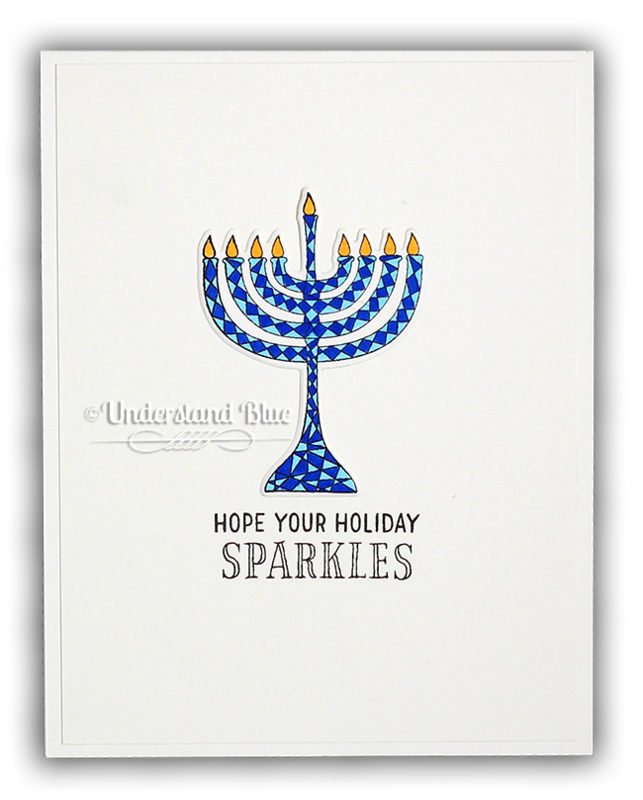 Great cards, I love that you're sharing Chanukah cards along with Christmas cards. OMG!! So many wonderful projects! I love each and every single one! Fabulous creations!! I'm in love with the Snowflake Bold Prints. It is wonderful stamped in every color & so versatile! So many wonderful cards! Love those tags too! Wow you went to town! Such a nice variety of different looks. 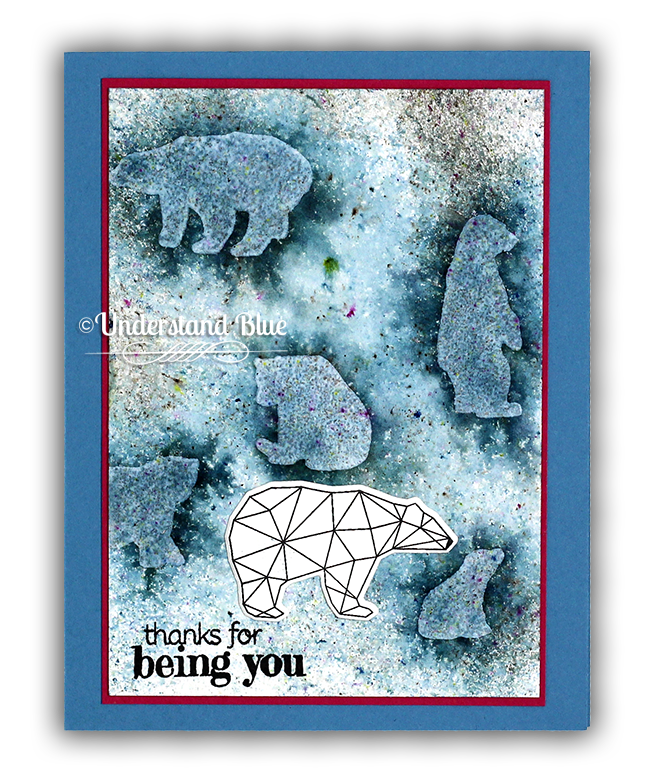 I like how you created the bear card about being you. I also like how you used the snowflake background stamp. It's very nice to have a few non holiday ideas! What a fantastic collection of cards and tags! I especially love the look of the Golden Glitz ink on the dark navy cardstock - I'll be trying that as soon as my kit comes! wow! so many amazing ideas and inspiration!! 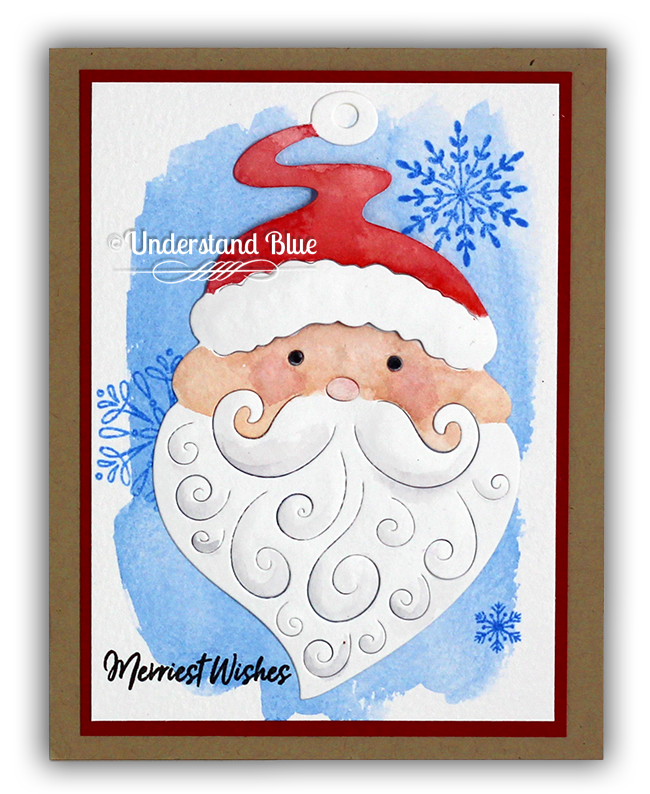 love those envelopes and that sweet santa face! thanks for sharing! Beautiful cards, love your techniques. Thanks! Oh my gosh so many beautiful creations!!! I love the tags! WOW, Lydia, everything is gorgeous. Using the bears the way you did is genius, your tags are beautiful and great Hannukah cards also. How did you accomplish all of this with gloomid and multitasking??? Your blog is so much fun and your cards and tags are lovely - thanks so much for all you share! Wow! As laways your colouirng is magical! And your cards little piece of arts! Love them!! !